Below you will find our selection of services we provide for events throughout Virginia Beach and beyond, including film production,wedding and bridal showers, corporate parties and events, themed parties, murder mystery parties, and holiday parties of all kinds! Echoes of Time has a superb selection of costumes and vintage clothes that film production companies have rented for a number of films filmed locally. From our vintage clothes collections to costumes of all periods in history to theatrical makeup we have what film companies need for local production. Come browse through our wonderful selection of vintage clothes and costumes at Echoes of Time to find a truly unique costume for each of your actors in your film production. Echoes of Time has a superb selection of costumes and vintage clothes that are perfect for costume weddings or vintage or period weddings. Many bridal showers are now adding a new dimension to their celebration with costumes, wigs, or celebrating in another time period with vintage clothes. We will help you put together your special look whether for the bride or the entire wedding party, you can count on Echoes ofTime to help you create a wedding to remember. Echoes of Time has an incredible selection of costumes and vintage clothes for your next themed corporate event. Whether you are producing a corporate party, corporate even or a convention, Echoes of Time can assist you in creating a unique look for your event. We will help you down to the smallest detail to create a professional look that will have participants talking for years, truly a memorable event. 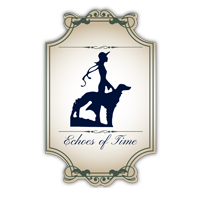 Echoes of Time has an amazing selection of costumes and vintage clothes for your next themed party. Whether you are creating a themed birthday party, anniversary party or murder mystery party we have you covered at Echoes of Time. We will help you down to the smallest detail to create a truly memorable event, one that people will remember for years to come. At Echoes of Time we have an fabulous selection of costumes and vintage clothes for your next holiday party. Whether you are creating a themed party or attending one we have a selection that is hard to beat in the Virginia Beach area and beyond. We will help you put together your custom look down to the littlest details, including shoes, wigs, accessories, and makeup.